Nature makes a stunning array of molecules and materials using spectacular catalysts that you can literally scrape from the bottom of your shoe. But chemists make, and dream of, many more that are not known in biology. We would love to be able to program biological systems—e.g. clean and efficient microbial factories—to make some of these molecules and materials, but that will require new biological catalysts. Not satisfied with nature’s vast catalytic repertoire, we want to create new enzymes and expand the range of genetically encoded chemistry. I will describe how we can use the most powerful algorithm for biological design, evolution, to optimize existing enzymes and invent new ones. Mimicking nature’s evolutionary tricks and using a little chemical intuition, we can generate whole new enzyme families that catalyze important reactions not (yet) known in nature, thereby expanding the chemistry of the biological world and the molecules and materials we can build. A graduate of Princeton University and the University of California, Berkeley; Arnold is listed as the co-inventor on more than 30 U.S. patents. She has also served as science advisor for over 10 companies, which include Maxygen, Amryis, Codexis, Mascoma, Fluidgm, and Genomatica. In 2005, she co-founded the biofuels company, Gevo Inc., where she also served as a science advisor. On the faculty of Caltech, her main focus is renewable energy and sustainable chemistry. Arnold’s directed evolution research earned her the 2011 National Medal of Technology and Innovation and the 2011 Charles Stark Draper Prize from the National Academy of Engineering, an award often described as the Nobel Prize for engineering. She was the first female researcher to receive the Draper prize. 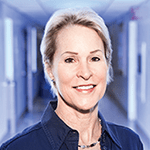 She is also one of two women elected to all three American National Academies – the National Academy of Science, the National Academy of Engineering and the National Academy of Medicine. Arnold has also worked with the Science & Entertainment Exchange (The Exchange), a program of the National Academy of Science that is a resource for Hollywood screenwriters to show science in a realistic way on the big screen.